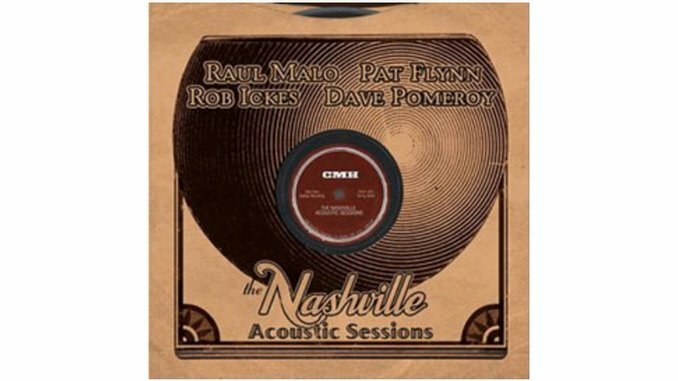 Mavericks frontman Raul Malo downshifts here into a subdued batch of acoustic covers recorded with Nashville session pros Pat Flynn, Rob Ickes and Dave Pomeroy. Malo has a voice for the ages—a pure, aching tenor, reminiscent of Roy Orbison at his melancholy best. So kicking things off with a cover of Orbison’s “Blue Bayou” seems only fitting. But Malo fails to lean into the final chorus, and that patented soaring Orbison coda remains conspicuously absent, establishing a pattern for the album as a whole. Sometimes less is more, and sometimes it’s just less. On the upside, the selections on this disc are impressively eclectic, a fine mixture of traditional country classics (The Louvin Brothers, Hank Williams and Jimmie Rodgers) and near-contemporary folk gems (Van Morrison, Gordon Lightfoot, Gram Parsons and Bob Dylan). Flynn’s guitar and mandolin, and Ickes’ dobro are never less than tastefully elegant, and the Williams (“Weary Blues From Waiting”) and Parsons (“Hot Burrito #1”) covers at least approach the magnificence of the originals. On the downside, Malo displays a heretofore unseen affinity for Hollywood schmaltz—“Moon River,” “(I Love You) For Sentimental Reasons”—and his vocals are consistently underwhelming. There’s nothing wrong but very little right with this tasteful, pleasant and ultimately nondescript music. That’s the problem with downshifting. It’s a little too easy to coast in neutral.